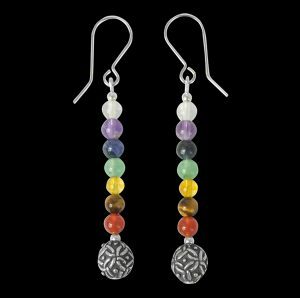 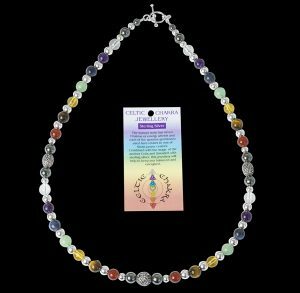 The human body has seven Chakras or energy wheels and each of the genuine gemstones used here relates to one of those power centres. 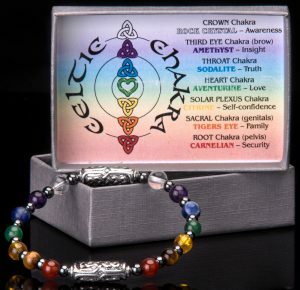 Combined with the magic of the ancient Celts and threaded with Hematite to give you courage, this jewellery will help to keep you balanced and energised. 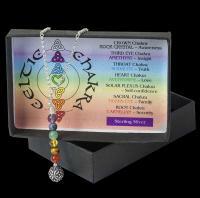 All items are boxed, with informative lid inserts.